The Brother 1034d serger does come with a plastic cover, but let’s face it, it can be described as ‘flimsy’ at best! So why not sew your own case for Brother 1034d serger, in a style and fabric you like. 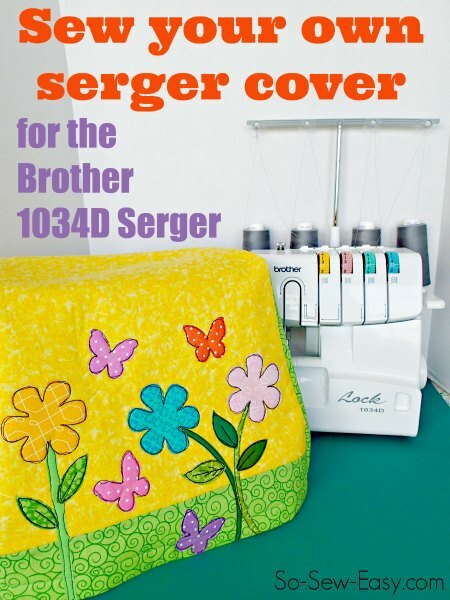 Here is a simple pattern to sew a Case for Brother 1034d serger. There are two options. Either make a lining to cover up your inside seams, or leave it unlined – up to you. Find more about the Case for Brother 1034d serger here.